Omnichannel marketing in inbound and Account Based Marketing is the cornerstone of today's customer experience. But how do you create an omnichannel experience? Omnichannel marketing in inbound and account-based marketing (ABM) is the cornerstone of today’s customer experience. The reason? Because today your customers are everywhere. They’re browsing your website, following you on Twitter, commenting on your blog posts and Facebook page, wandering around your store (be it physical or digital), engaging in discussions on LinkedIn, reading your emails, and calling your customer service centre. What’s more, they’re doing all of these things not from a single device, but from a combination of smartphones, tablets, laptops, desktops and even smartwatches. And this is why 94% of senior marketing decision-makers believe that today, presenting a connected and personalised omnichannel experience is important – if not critical – to achieving their organisations’ business goals. What is Omnichannel Marketing in Inbound and Account Based Marketing? Providing an omnichannel experience means taking a multi-channel marketing approach in inbound and account-based marketing. At its core, omnichannel is about creating a fully-integrated, seamless customer experience across all channels available. This means that, rather than thinking about the desktop experience, mobile experience, tablet experience and smartwatch experience as being completely separate, with omnichannel marketing in inbound and account-based marketing, the goal is to pursue one, holistic, all-encompassing experience that engages and delights the prospect or customer as they switch between channels and devices. Omnichannel marketing and multi-channel marketing are not one and the same thing. Yes, creating omnichannel experiences will require you to use multiple channels – however, not all multi-channel experiences are omnichannel. The difference comes down to the level of integration. You might well already be executing engaging social media campaigns, superlative mobile marketing, thought-provoking content marketing, and have a well-designed and intuitive website. But if all these separate channels are not working in unison to create one, unified experience for the customer, it is multi-channel marketing that you’re doing, not omnichannel. Today, most business are invested in multi-channel marketing in inbound and account-based marketing activities. They will have a website, a blog, and social media presence as a minimum, and many will also be involved with lead generation, email marketing campaigns, and some paid advertising as well. Each of these channels will be used to engage with prospects and customers. However, the sum will still amount to less than a seamless omnichannel experience, as they will often lack consistent messaging across each of these touchpoints. To be truly omnichannel, marketing departments need to account for each platform and each device that a customer or prospect will use to interact with the organisation, and deliver one, integrated experience across the whole. 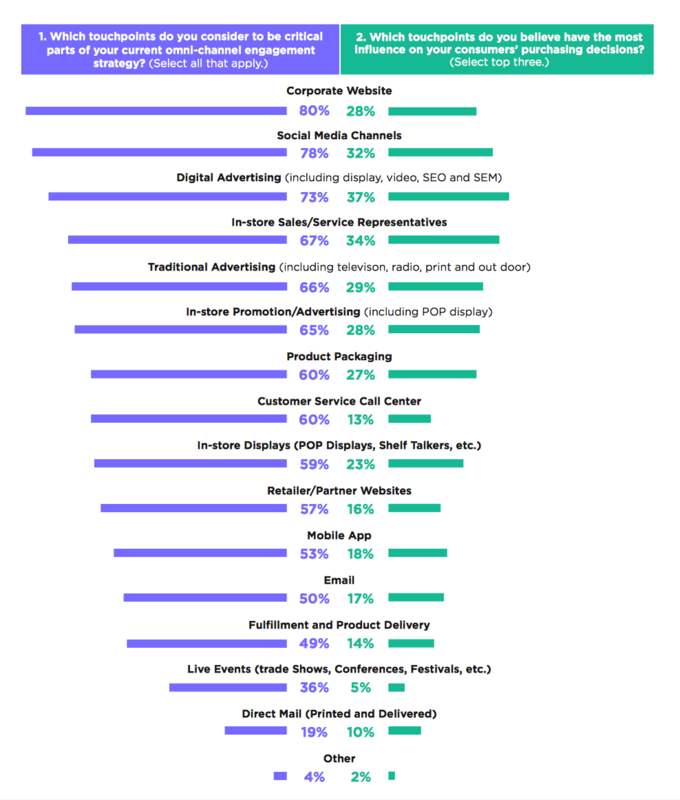 Below is a screenshot from the recent CMO Council report ‘The Responsiveness Requirement: How Agile Marketers Act on Consumer Feedback to Drive Growth’ so you can see which touchpoints today’s chief marketers believe to be the most critical parts of an omnichannel strategy today. Despite acknowledging the importance of omnichannel marketing in inbound and account-based marketing, only 4% of marketers believe they are consistently delivering seamless, engaging, and customer-centric experiences across all touchpoints, according the CMO Council’s report. So, how can you start to build an omnichannel marketing department at your organisation? Well, it all begins with your teams. In order to create and execute a truly omnichannel strategy, you need a strong, multi-disciplined team that is able to deliver and promote cross-functionality. The first step will of course be to get all stakeholders onboard with your new omnichannel vision. Omnichannel is all about seamless integrations – and seamless integrations need to be at the core of your organisation’s internal structure. Omnichannel marketing in inbound and account-based marketing is only achieved through integrating teams and technologies. All departments – from marketing to sales to customer support – need to be on the same page, promoting the same message, and putting the customer experience at the forefront of all materials created. With your team in place and all striving towards the same goal, you will need to identify all the different touchpoints that prospects and customers use to engage and interact with your organisation, and then determine which team members will be responsible for each. For each touchpoint, customer behaviour must be tracked and monitored, and then this information will need to be communicated with other team members. Integration is at the heart of all omnichannel marketing in inbound and account-based marketing – and so too is data. Data capture and analysis is what will help you understand your customers better, what channels and devices they are using, and how and where you need to engage with them. Importantly, however, this needs to happen in real-time, which means that you will need one centralised data collection system that will amalgamate all the information in one place for meaningful analysis. A powerful customer relationship management (CRM) system like HubSpot is a great place to start. 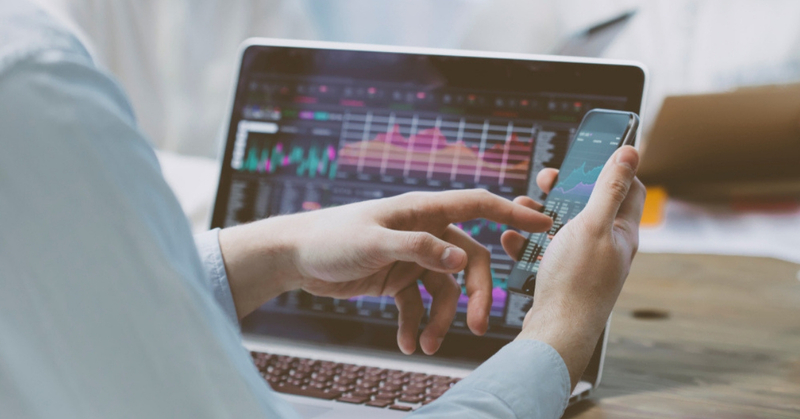 Here, you can keep track of every interaction that you make with all of your customers, and with in-built analytics and reporting, your whole omnichannel team can have immediate access to the most valuable insights on an ongoing basis. Through your integrated analytics, you will gain a much better understanding of your customers, and with this you can add real depth to your relationships with them. You will be able to identify the most profitable customer groups, as well as the most profitable channels that these groups typically engage with. You will need to be responsive in how you connect with them in all the content marketing materials you provide, and be prepared to engage with them in ways that they initiate. Again, your integrated analytics will provide the way in to developing this customer-centric vision. 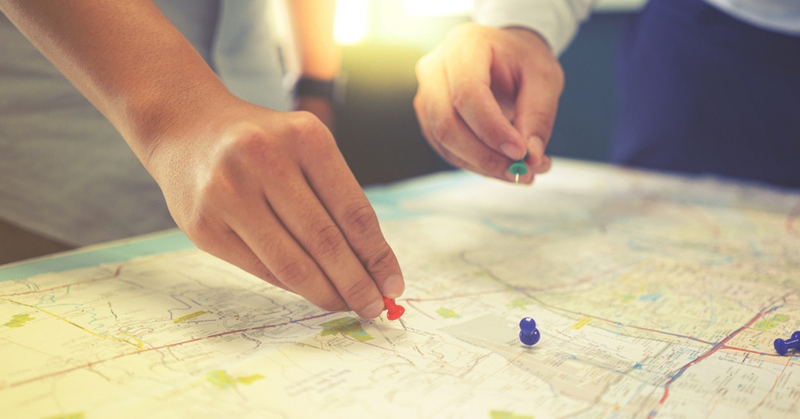 Importantly, you will need to map out all the possible customer journeys that your prospects could take, and highlight the key consideration and decision points along those journeys. You will need to consider what happens when a customer moves from a Twitter post to a blog post, and from a mobile device to a desktop, and from an email to a website – and all the possible variations in between. Marketing automation tools will enable you to deliver superb personalisation across all these touchpoints, and will send selected content to customers in response to their behaviours, locations, devices, demographics and firmographics. From here, individual customer relationships can be nurtured to guide leads seamlessly through the path to purchase, no matter how many weaves and turns they decide to make along the way. Omnichannel marketing in inbound and account-based marketing is where today’s top companies are placing their focus. To switch to omnichannel marketing you will need be fully committed, and embrace all the technologies and skillsets at your disposal in order to make it work for you. If you need help developing a strategy for omnichannel marketing for your inbound and account-based marketing operations, get in touch with the growth experts here at Incisive Edge today.